Sign up and receive Property Email Alerts of Houses to let in Ferndale, Randburg. Immaculate freestanding rental home in Ferndale, Randburg. This stylish house leaves nothing to be desired. The beautiful, sunny open plan living area has warm laminate flooring and ample space for a lounge suite as well as a dining room table. A gorgeous modern kitchen with granite tops, gas hob and ample cupboard space compliments this contemporary home. The first carpeted bedroom is inviting and spacious, with space for a queen bed plus some, there is also plenty of cupboard space. The main bedroom is lushly appointed, with plush carpeting and ample cupboard space while leaving room for a full bedroom set. This home is serviced by 2 bathrooms that have top of the line finishes. 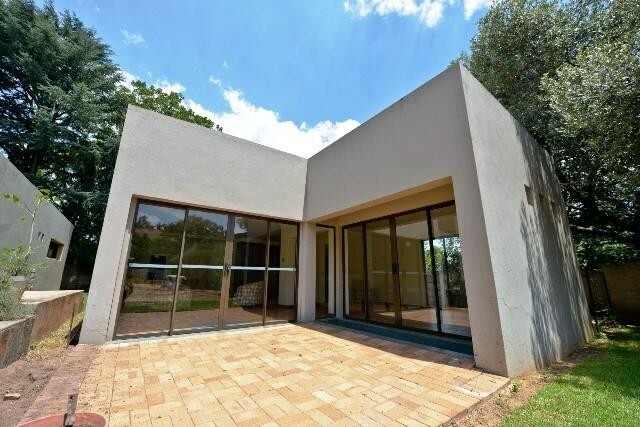 This to let house in Ferndale,Randburg enjoys ultimate privacy and space as there is no one else on the property but is still secure and central with the N1 just a few minutes away. Sign-up and receive Property Email Alerts of Houses to let in Ferndale, Randburg.